These days most everybody knows what a farmers’ market is and has at least heard of terms such as “CSA," “farm share," and “co-op." CSAs are gaining more and more attention as the local food movement becomes an increasingly hot topic. So, what exactly is a CSA, anyway? CSA stands for community supported agriculture. In short, CSAs are a way for the consumer to have access to seasonal, local food directly from the farmer. These are called “shares” in which every farm differs in the size of the share, frequency of pickups, and duration of the CSA. You may also hear it referred to as a membership or subscription. For example, a farm could have a 24-week CSA program (this would be spring through fall) that offers share sizes in either half bushels or full bushels (“baskets”) in addition to the frequency options of weekly or bi-weekly pickups. Other farms may have a separate CSA subscription per season with fewer options regarding frequency or location of pickups. Some farms even have programs that run through the winter (think lots of greens and winter squash!). Every farm will offer different vegetables, fruits, herbs, sprouts, etc., depending on what they decide to grow that season. Pickup locations vary by farm (a farmers’ market, nearby shopping center, rec center parking lot, or neighborhood park). Certain farms even have an option for you to come to them! The Nashville Farmers’ Market (the big one in downtown Nashville) has a yearly CSA fair in early spring where you can shop around to meet farmers, hear about their CSA program, and decide which one is right for you. Why take part in a local CSA? Taking part in a local CSA is a win-win of utmost proportions. Not only do you receive some of the freshest, most delicious, sustainably sourced food, but you are supporting your local food system and farms. Purchasing a CSA share is a way for the farm to have some financial peace of mind by generating cash flow at the beginning of the season. You are helping local farms stay in business--supporting your local economy! I know I’d rather give my dollar to a small family farm over Kroger any day (no offense, Kroger). This allows the farm to continue operations in that growing season, despite what circumstances out of their control may affect their crops (flooding, tornadoes, or perhaps a Middle Tennessee scorcher). As a registered dietitian I strongly promote and encourage people to take part in local CSAs for a number of reasons, most discussed in this post. Beyond supporting your local food economy, there is value in receiving a share of locally grown produce every single week. Many people feel a bit out of their comfort zone when that hakurei turnip shows up in their basket. Or maybe it’s the baby kohlrabi that makes you feel insecure? But that’s where the learning opportunity comes into play. This forces individuals to learn about new and different vegetables and even experiment in the kitchen. Though it might be a bit more challenging to know what to do with that hakurei turnip, it will expand your vegetable horizons--not to mention the added fiber, folate, and vitamin C. Crispy turnip fries or garlic roasted kohlrabi are always winners! Need one more reason to get on board? That “C” stands for something mighty important...community! You can not only meet your local farmer but get to know other people in the community who’ve come together to share in an experience you can’t get anywhere else. Many farms have seasonal potlucks or open houses to come visit the farm and socialize with other CSA members. This enriching opportunity allows you to literally see where your food is grown. Families and young children can learn about how local farms operate and all the work and reward that come from growing your own food. I know from personal experience that this can be life changing and bring a whole new perspective to the value and mindfulness we assign the food we put in our bodies. Can you tell I am a fan of this whole CSA thing? I definitely am and hope you become a fan as well! Increased nutrient composition: When your veggies are grown just 15 miles from your kitchen, there is minimal time from that tomato being picked to when you consume it. Talk about farm to fork! Most supermarket produce is picked before it is ripe. Vitamins and other nutrients do not fully develop when fruits and vegetables are picked before the peak of ripeness. Fruits and vegetables in the U.S. grown in the Southern Hemisphere can spend five days up to several weeks in transit. Then one to three days they will sit on display at the retail location, while having possibly been kept in storage seven days prior. As fruits and vegetables are harvested and separated away from their source (plant, tree, vine) respiration takes place leading to degradation of nutrients. A study in the Journal of Agriculture and Food Chemistry found that anthocyanin content in blackberries increased from 74.7 mg to 317 mg from unripe to ripe. An anthocyanin is a type of pigment that gives plants their color and is found to improve heart health in addition to a number of other health benefits. There is no question that the health of your body is directly impacted by the foods you eat and this is directly impacted by how that food is grown. Research also points to the significant link between the health of the soil in which plants are grown and the actual health and nutrition of the plants themselves. Be sure the farm you buy produce from has healthy farming practices. They do not necessarily need to be “certified organic,” but ensuring they use minimal chemicals (think herbicides, pesticides, fertilizers) is important to maintaining the integrity of the soil and to preventing nutrient depletion. 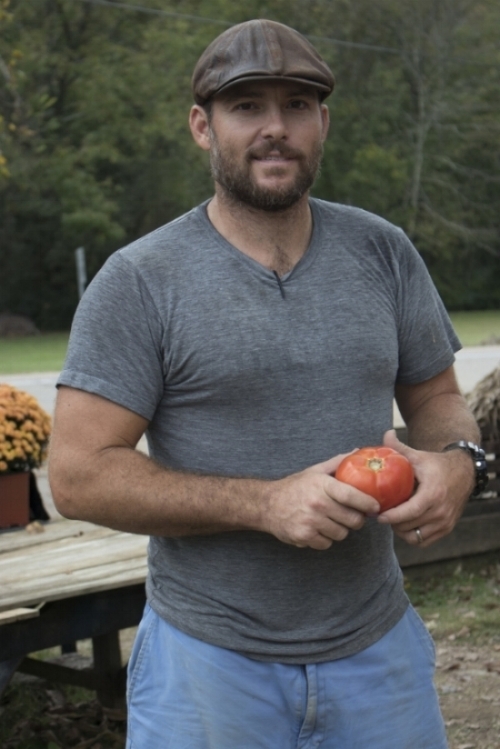 Head to localharvest.org and see a complete list of CSAs in the Nashville area. Or better yet, visit a local farmers’ market near you (which can be found on that same site) to meet a farmer or two and sign-up in person. Now is the perfect time: don’t miss out on being part of an incredible, community-driven, local-food movement while receiving a bushel full of the best goods around. Trust me, it feels like Christmas every week! Foundation Wellness, LLC is proud to partner with one of our very own Nashville area farms: S.E. Daugherty & Sons Farm, purveyors of Fresh and Local Nashville CSA. The Fresh and Local Nashville CSA has a 20-week season with a weekly basket of the freshest grown produce with multiple pickup locations. To find out more information and to sign-up, please head to their website at freshandlocalnashville.com. And for more information on local farmers’ markets near you, visit localharvest.org, picktnproducts.org, or another great resource for those living or visiting Nashville, the downtown Nashville Farmers’ Market website at nashvillefarmersmarket.org. These websites are wonderful resources for those of you interested in supporting Nashville CSAs. Another benefit of these farm-friendly sites is that they include free recipes for when you have no clue how to use one of those veggies in your basket! So, take part in a local CSA this growing season, Nashville. It’s a bushel-load of fun!